The easiest way to go live! For Streamlabs Software Support on the EasyCAST system, please contact EasyCAST@SimplyNUC.com with your issue. This product is not supported by Streamlabs, although they have numerous training videos online to assist you. The EasyCAST™ is the easiest way to go to a dual-PC set up. All the pro’s are doing it. 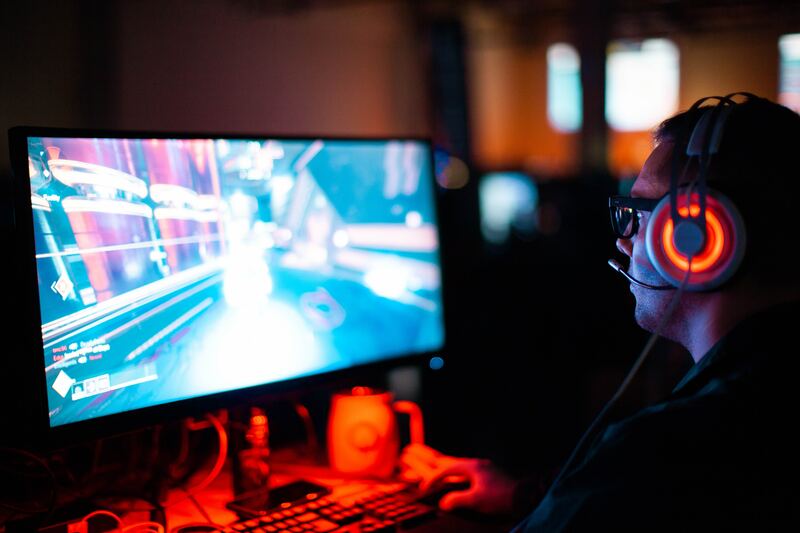 Take the strain of streaming off of your gaming rig and go to a dedicated streaming PC with the EasyCAST™. Quickly and easily get up and streaming your console gameplay. EasyCAST™ works great with your XBOX, PS4 or other popular gaming consoles. We have done everything we can to make the streaming experience as easy as possible. 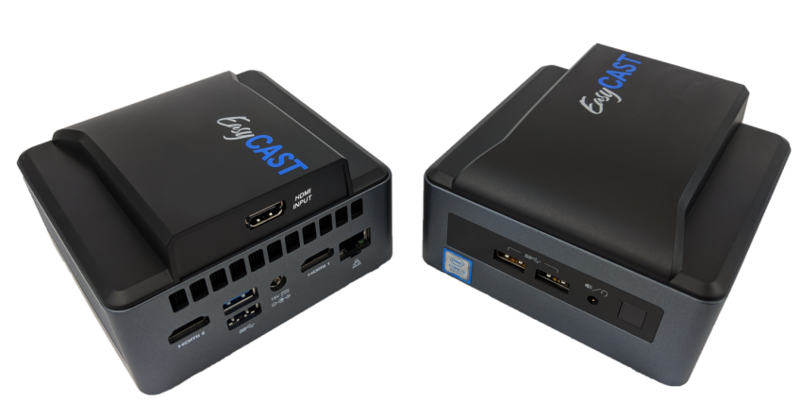 Working with the pros, we have customized the EasyCAST™ with everything you need to get started streaming at full 1080p @ 60Hz, without the complex set up issues of the past. 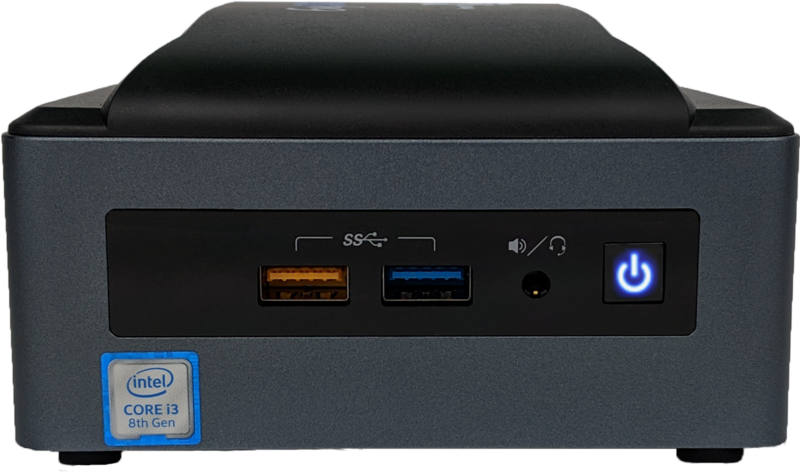 This unit features an HDMI lid with a £185 AVerMedia Capture Card built in, OBS, camera selection, green screen, and transcoding software pre-installed, and 1080p @ 60FPS streaming capability. It has everything you need to to get your live stream off the ground and onto the air. Sure, you could try setting up streaming software on the same computer you are broadcasting from, but isolating the streaming software to the EasyCAST™ means your main computer saves CPU and RAM usage for maximizing frame rates and rendering. Let the EasyCAST™ Streaming Solution focus on optimizing your media onto the internet while you focus on creating content to show the world. EasyCAST™ includes a fast, reliable & feature packed OBS app certified to stream at 60FPS in 1080p. Overlay graphics on your stream, manage your viewers, set up loyalty points for your dedicated fans, set up donation goals, establish set schedules, and much more to really connect with your audience while you define your unique online brand. Combine multiple windows like Twitch Chat, Twitch Dashboard/Video, the OBS Dashboard or Broadcast software into a single view optimized for the EasyCAST™ hardware. Game aware video encoding for x264, QSV & NVENC encoders – this means up to 2x better video quality for the same bit rate / CPU usage. Level up your stream with this reliable, easy-to-setup desktop streaming application built for professional streamers.